The idea of being limited in the elderly community made us realize that we did not need a product that was new and innovative, rather their need for accessible technology due to their disability or sensory differences is at an all-time high. We needed to create something where seniors who have minimal to little use of technology can have access to the modern world and still receive social contact to combat social isolation. 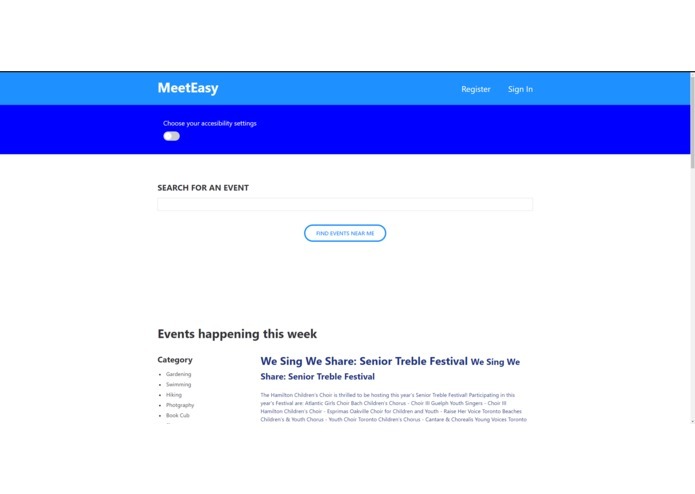 MeetEasy is an event management and ticketing site that also provides assistance to seniors who need help managing the platform with a phone service that calls them, special tools that adjusts to their disability, and provides events to further their want to socialize with people who have similar interest. 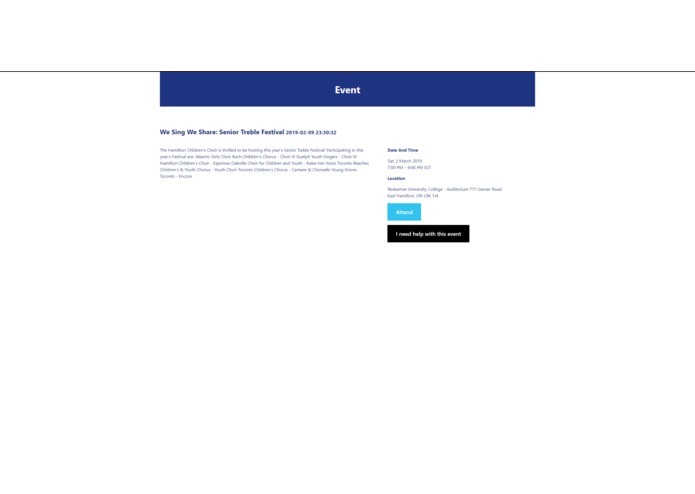 The main challenges we ran into was finding research to support the features of our site as well as completing the site in time for submission. Another challenge that we ran into was utilizing the Google voice API for our call feature. Though our team members that were working on that portion tried their best to learn and use the API, we were unsuccessful. Accomplishments that we are proud of is our ability to communicate effectively and manage stress well as a team. What we learned was our ability to think outside the box and detach our perception of what we assume the user wants when building our product. As well as a growing demographic that is suffering from social contact due to limitations not in their control. 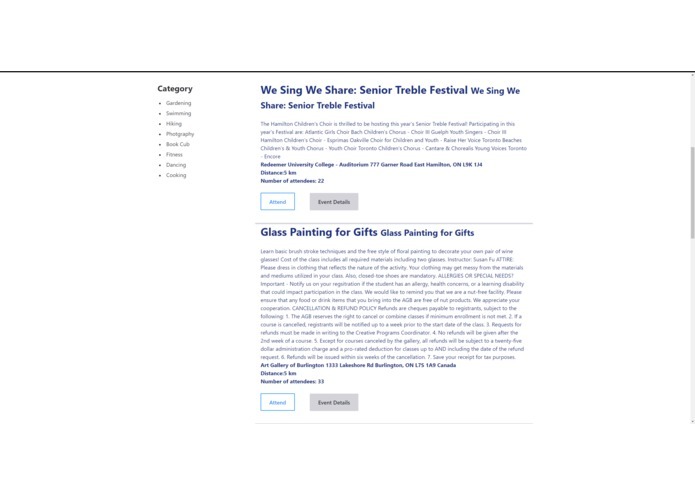 As we built our application we understood that the biggest value from our process was the lack of design-centered thinking a lot of applications fail to incorporate for elderly people. As we pursue other projects, MeetEasy will be the project that will be taken into consideration as to how we can make our user experience more suitable for people who are not within our generation.